Map it all out. If you’re moving long-distance and driving, book your pet-friendly hotels early. Most hotel websites have a pet-friendly search filter. For long drives, plan out stops so your pet can stretch its legs. Using an app like Scritchspot can make this so much easier to find pet-friendly places! If you have to fly, know that air travel with a pet can be difficult and risky, so read through the Humane Society’s tips on traveling with pets before takeoff. Kennel adjustments. Some pets LOVE their crate or kennel… others not so much. If your pet is not used to their kennel, get some practice trips under your belt before moving day (if you have a long way to travel). This way, when the big day comes, your pet knows what to expect. Make sure you know local pet laws and regulations. These can vary from city to county to state. Want some help brushing up on what you need to know? Check out the Apartment List guide. Pack your pet’s travel essentials! While a crate and food may be obvious, there are a few things you may forget. Pack pee pads, poop bags and litter boxes, and, of course, your toys and treats. Grab all of your pet’s favorite things to make the move as stress-free as possible, and make sure they are easily accessible so you don’t have to dig through boxes to get them out! Too overwhelmed? Call in the experts. Pet moving companies are here to help. 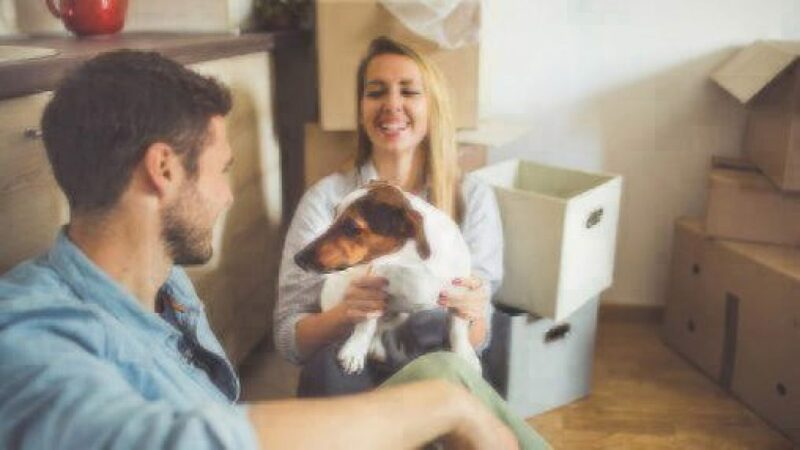 While these services can get pricey (usually ranges between $300-$1000, depending on distance), if you just need one less thing to worry about, they’ll make sure your pet moves in comfort. Need a recommendation? Check out Pet Relocation and UShip for more help. Consider keeping your pet supervised. It may take your pet a bit of time to feel comfortable in their new surroundings. Separation anxiety can affect even the most confident pups. To avoid unnecessary stress and destruction, you might want to consider hiring a professional pet sitter to keep your fur-baby supervised at all times. 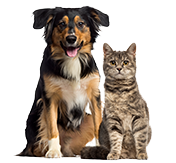 Check out NAPPS (National Association of Professional Pet Sitters) for the resources and tips on finding a professional certified pet sitter. Content provided by Apartment List. Apartment List is the fastest-growing online rental marketplace on a mission to make finding a home an easy and delightful process. The company is passionate about animal welfare issues and provides extensive pet-friendly housing options. In fact, about 80% of properties on the website are pet-friendly and their pet-friendly search is completely free. It also strives to provide the most detailed pet policies on their listings. The company has been named one of Forbes’ “Top 25 Most Promising Companies” and one of Inc.’s “Fastest Growing Private Companies in the U.S.” Learn more at www.apartmentlist.com.